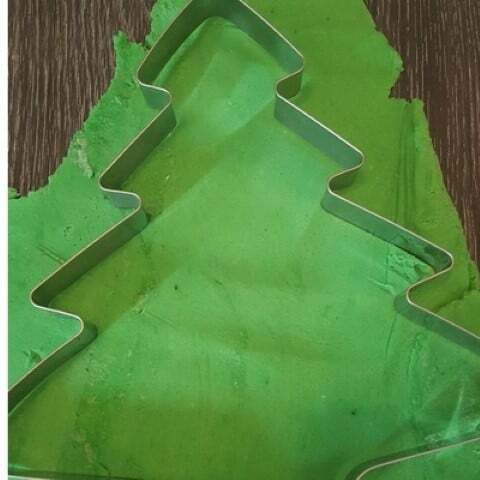 I stumbled across these giant Christmas tree cookie cutters and knew that they would be perfect for crafting and baking with. 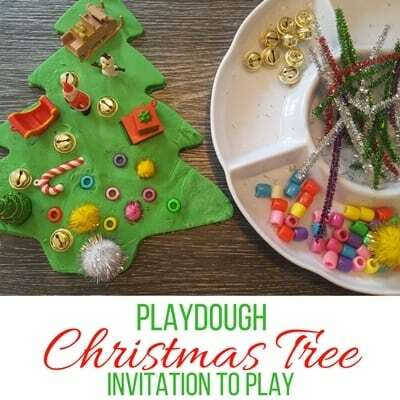 I couldn’t wait to use them with playdough and we had so much fun making this GIANT Christmas tree playdough invitation to play. 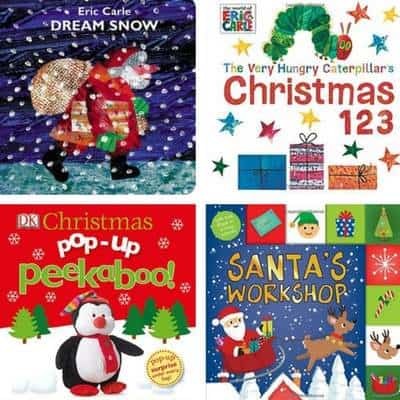 This activity is fun for older siblings too and as they’re often home at Christmas time it’s great to get them involved. I’m sure that you’re never really too old for playdough! 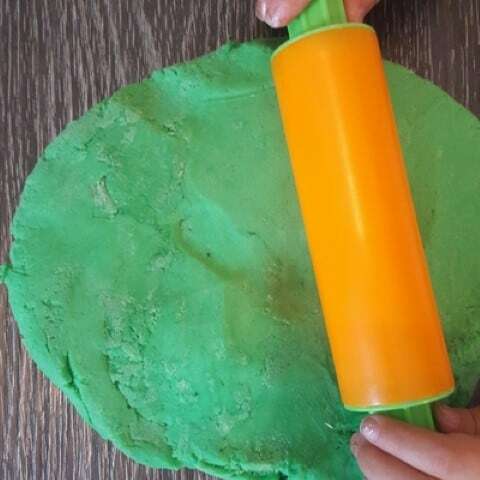 Playdough is one of those tried and tested play ideas when you have a toddler and it’s so adaptable. 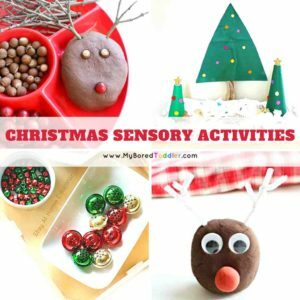 I find that you can always find a way to incorporate playdough into a theme or season and Christmas is one of my favourites. This was really easy to put together and a relatively inexpensive activity to set up. I made my own playdough for this one (as despite having SO much playdough at home since I try to keep well stocked with the Mega Playdough pack I had run out of green!). I’ll share my recipe if you want to make your own too, but store bought works just as well too. If you’re doing this with a large group like I often do, you can buy large tubs of just green playdough which is handy. 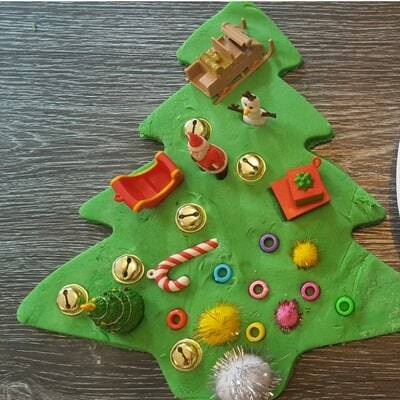 I added a few drops of peppermint essence to my playdough as well to give it an extra Christmas sensory element. I had a set of Safari Ltd Christmas Toobs which I also used but these are optional (these are great toys to invest in – excellent quality). 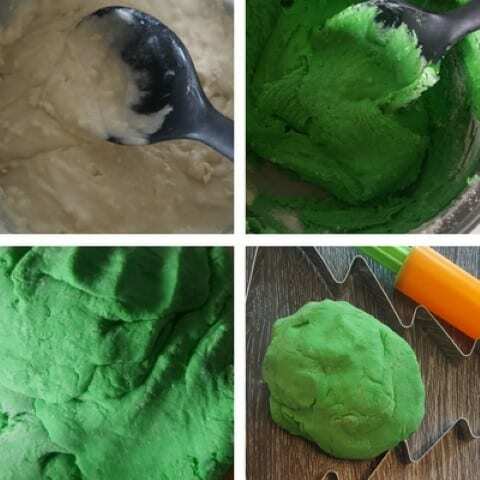 If you are going to make your own playdough you can find the recipe and ingredients here. This is quite an easy activity to set up. 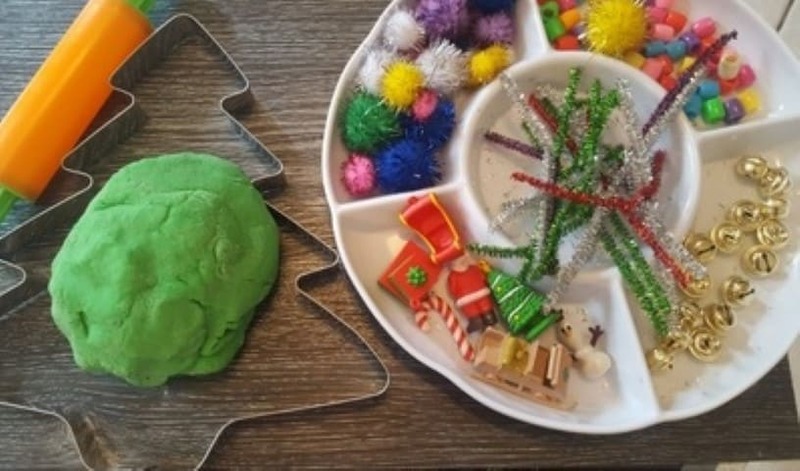 Once you have made your playdough (or bought it) you need to put your decorations into a tray, have your playdough ready to roll out with your cookie cutter and you’re ready to go! 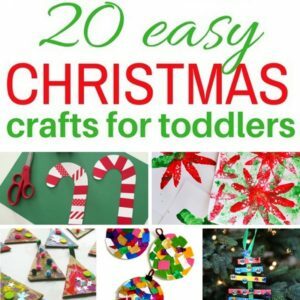 I did find that younger children will need help rolling out the playdough and cutting out the Christmas tree as the larger size makes it a bit trickier than usual. Where possible I do encourage them to give it a try themself, but the larger size was a bit hard for some. 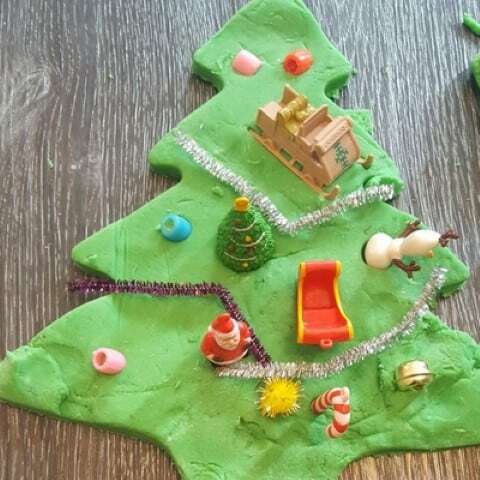 Once you have rolled out the playdough so that it is nice and flat (don’t make it too thin or it will be hard to stick the decorations on), use the cookie cutter to make your tree. As I mentioned above, a little bit of help might be needed for this. Once you have your tree cut out then you’re ready to go. No matter how much you want to tell your child how to do it (trust me I did – especially when I wanted to take photos!) they will decorate it however they want! You will see that the placement of many of our decorations are a bit random, but let’s be honest that’s the point. Let them have fun and let them do it themselves where possible. In the photo above I really wanted my daughter to use the pipe cleaners for tinsel but she really wasn’t having that! We did take our decorations off and do the activity a few times and I finally got my tinsel! 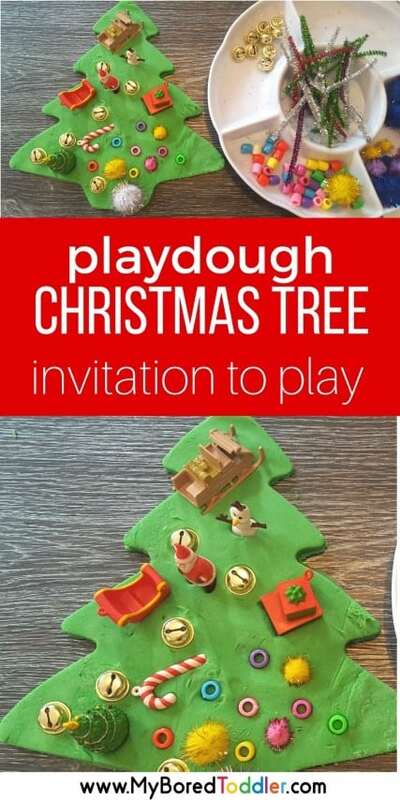 I hope you have as much fun with this Giant playdough Christmas tree invitation to play as we did! If you do get a chance to do this, make sure you pop into our Facebook group and share a photo of your finished creation!